Our Staff – Boreas Heritage Consulting Inc.
At Boreas Heritage, we are proud of the team of professionals we have assembled. Archaeologists, ethnologists, geoscience technicians and historians – we have the experience and expertise to navigate your project successfully through the heritage compliance and approvals process. Sara Beanlands is a founding partner of Boreas Heritage Consulting Inc. Over the past 25 years, Sara has undertaken a wide range of historical research and held archaeological assessment permits throughout Atlantic Canada. 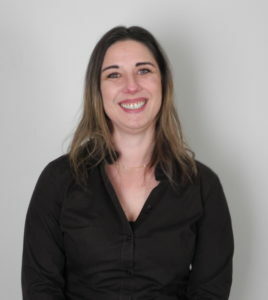 Before becoming a principal and senior archaeologist with Boreas Heritage in 2013, she completed a bachelor’s degree (honours) in history and anthropology at Dalhousie University (1998) and a master’s degree in history at Saint Mary’s University (2010). Sara has extensive experience in all aspects of cultural resource management, from advising clients, to field survey, to quality reporting. Sara is committed to making archaeology and heritage accessible to the public. She has built solid relationships with First Nations across Atlantic Canada, and in the Acadian, African-Canadian, and Jewish communities. In addition to her many public speaking engagements, Sara’s work has been published in the Journal of the Royal Nova Scotia Historical Society, the International Journal of Maritime History and the University of Edinburgh Journal. Having twice served as President of the Nova Scotia Archaeology Society, she is currently an adjunct professor in the Department of Anthropology at Saint Mary’s University, and President of the Royal Nova Scotia Historical Society. Steve Garcin is a founding partner and senior manager at Boreas Heritage with over 15 years of experience as a consulting archaeologist. Steve holds a Master of Arts degree in anthropology from the University of Alberta (2006). His research interests include indigenous archaeology and the application of GIS, geophysics, and unmanned aerial vehicle operation (drones) in archaeological investigations. Steve is keen to keep us on the cutting edge of geoscience technological advances and their application within consulting archaeology. Steve has supervised field crews as large as 12 members and held permits for archaeological assessments in urban and remote contexts throughout Atlantic Canada, Alberta and Saskatchewan. He has worked for a range of clients including residential developers, government (First Nation, federal, provincial and municipal), and industry (forestry, mining, petroleum, transportation, utilities and wind power). Steve’s professional experience includes designing heritage management plans for forestry operations in northern Alberta, and supervising archaeological assessments for multi-year hydro-power infrastructure renewal projects in southwest Nova Scotia. Colin Hicks is a consulting archaeologist and permit holder with over eight years of experience in delivering efficient cultural resource management services. 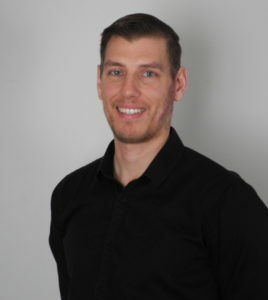 Before joining the Boreas Heritage team, Colin completed his Bachelor of Arts (honours) in anthropology (2012) and a Master of Arts degree in Atlantic Canadian studies at Saint Mary’s University (2017). Twice he was elected to the board of the Nova Scotia Archaeology Society, and currently serves as their Secretary. His research interests include colonial Nova Scotia, with an emphasis on relations between the French, Mi’kmaq and British, and the evolution of cultural landscapes. Colin’s professionalism and strong interpersonal skills ensure clear and effective field leadership, streamlined results and positive relations with on-site contractors. Colin has participated in numerous archaeological impact assessments, site monitoring projects and complex feature excavations throughout the Maritime Provinces. At Boreas Heritage, Colin has supervised crews of up to eight participants while conducting archaeological impact assessments for hydro-power infrastructure developments and Parks Canada infrastructure renewal. 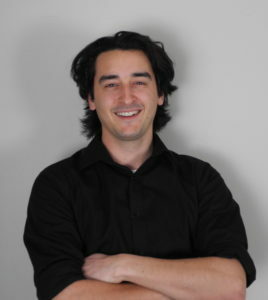 Ben Pentz has worked in the heritage industry for over 15 years as a consulting archaeologist, ethnologist and First Nations liaison. 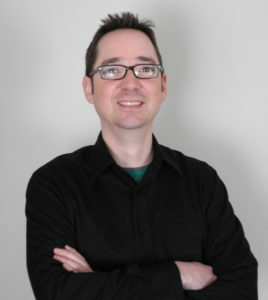 He holds a master’s degree in anthropology from Memorial University of Newfoundland (2008), and his research interests include cultural repatriation, Indigenous canoe routes, and documenting private collections of artifacts. Ben has supervised crews of up to ten members during archaeology assessments in urban and remote settings throughout eastern Canada, northern British Columbia and Western Australia. He has built meaningful relationships within the L’nuk/Mi’kmaq community of Nova Scotia, the Eeyouch/Cree of James Bay (QC), and the Yindjibarndi of northwest Australia. He has worked for a range of clients, including Indigenous organizations, government agencies, and multinational companies from the mining, energy and forestry sectors. At Boreas Heritage, Ben continues to operate in the field as a supervisor and permit holder. Additionally, his project management experience and inter-personal skills allow us to actively develop new markets, engage with prospective clients, and promote our brand online. Travis Crowell is a consulting archaeologist and permit holder with over six years of experience in archival research, fieldwork and cultural resource management. He holds a Master of Arts degree in archaeology from Simon Fraser University (2017), and his research interests include lithic artifact analysis, long-term human and environmental interaction, settlement patterns and the reconstruction of ancient sea-levels. In British Columbia, Travis participated in multidisciplinary projects where he organized field logistics, supervised field crews of up to six participants, and presented research results at national and international conferences. 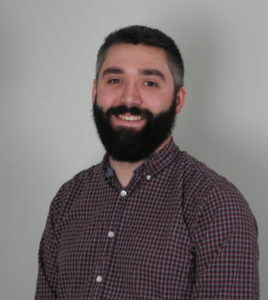 In the Maritimes, Travis has worked as an archaeology consultant, archival researcher and heritage monitor on projects for First Nation clients, Parks Canada and various industrial developments in Nova Scotia and New Brunswick. When not in the field, Travis serves as a report writer and applies his competency in advanced software programs to improve our methods of recording, interpreting and presenting field data, including 3-D imagery modelling and creating detailed site plans.